OH my days! Wonder Festival [Winter] just around the corner and HELL’s CAT is BACK in new editions and the classic versions! 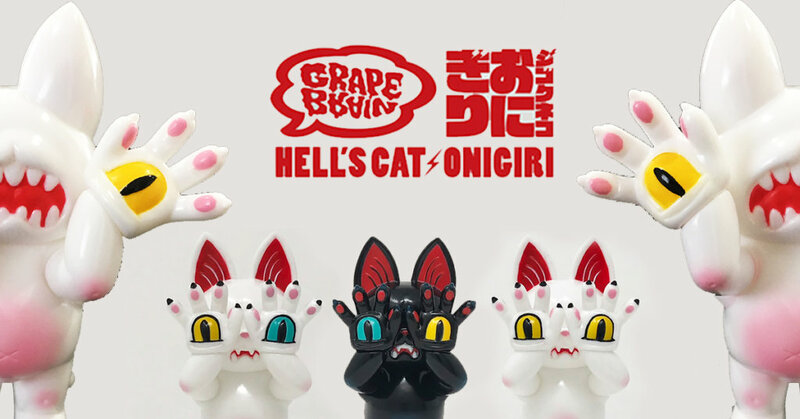 Back in September 2018, Hell’s Cat ONIGIRI made its debut at TTF 2018 and also driving fans crazy via Twitter, we got out palms all sweaty seeing photos and illustrations of Hell’s Cat ONIGIRI. Cute n creepy at the same time lucky DesignerCon 2018 we got out dirty hands on one. is a youkai where the Japanese youkai called. I will release it at 2/10 Wonder Fest [Winter] Then GRAPE BRAIN will sell them via online at http://grapebrain.cart.fc2.com Stay tuned for online release details.